Imagine for a moment the satisfaction of transforming the lives of your clients, friends and family members. Hypnotherapy gives you the many tools to guide yourself and others through dramatic shifts in attitude, emotional stability and mental harmony. By removing the effects of childhood trauma, self-sabotage, negative conditioning and habits your clients obtain a freedom they never thought possible. Hypnotherapy as a career is extremely rewarding personally as well as financially. Jump into the therapy field of the future at the Utah School of Hypnotherapy, specializing in Professional Clinical Hypnotherapist Certification. The Utah School of Hypnosis & Hypnotherapy is the oldest operating school of its kind in Utah. We train professional hypnotherapists with a focus on clinical transformation. We provide practical 'hands on' instruction from an array of experts, specialized in particular aspects of hypnosis & hypnotherapy. 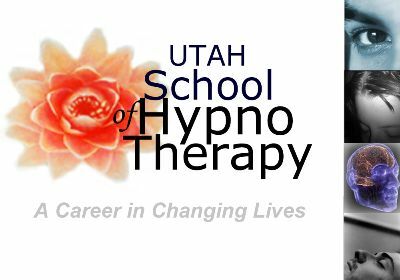 The Utah School of Hypnosis strives to be a continuing resource for students, graduates and the community. We own and operate a full-time professional hypnotherapy clinic, Changes NOW Hypnotherapy, as well as the Clear Mind Institute, a product development and distribution division available for graduates to begin or expand their Hypnotherapy Careers. The Utah School of Hypnotherpy draws its strength from its Faculty, which is a team of Experts providing multiple insights, techniques and philosophies of Hypnotherapy. This panel of specialized, professional Hypnotherapists creates the most comprehensive training experience. You are guaranteed to become proficient through this training.